Afterwards we filled out our graphic organizers and had a great discussion about the book's setting! Draw a small stocking outline on a piece of cardstock (I made mine about 3 inches long). Cut it out. 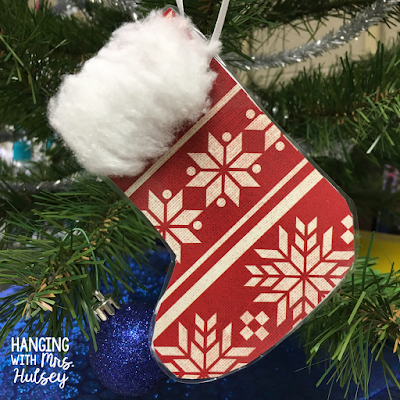 Use the stocking you just created to trace and cut out enough cardstock stockings for each student. Trace stockings onto the back of various pieces of scrapbook paper. 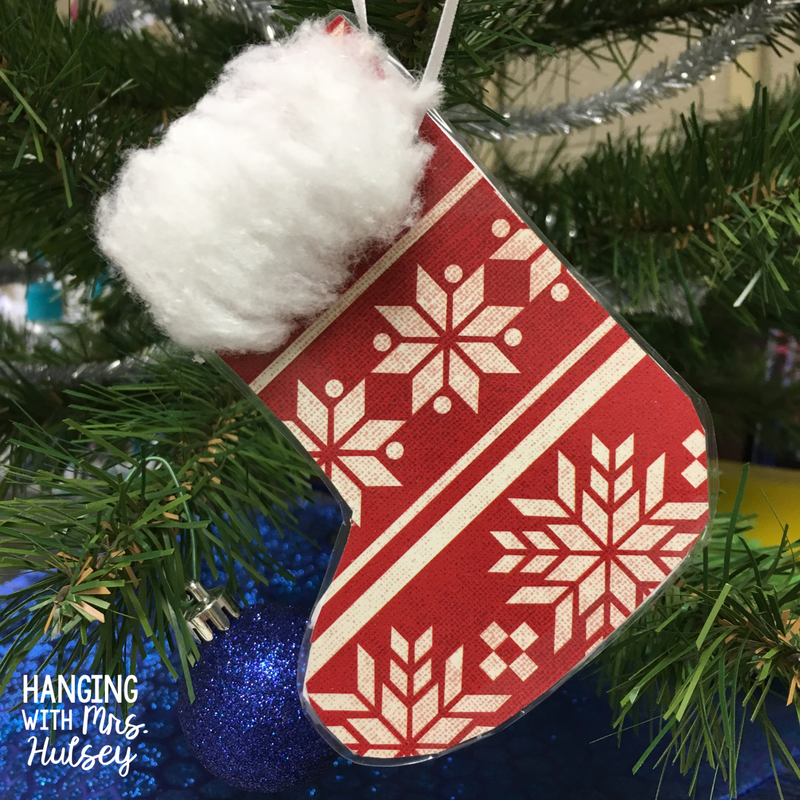 Give each student one cardstock stocking and one piece of scrapbook paper. Have students cut and glue the cardstock stocking to the scrapbook paper stocking. I also had mine write their names, grade, and year on the back of the stocking. Hot glue cotton balls along the top of the stocking-- I cut the cotton balls in half and then spread them out before gluing. 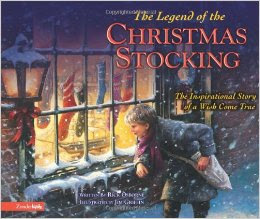 Punch a hole near the top of the stocking and tie on a ribbon. Also, it would have been fun to buy real small stockings for students and let them decorate with buttons, ribbon, puff paint, etc. I hope this gave you some fun ideas! Thanks for reading!